On Saturday, I volunteered at a wicked, free racing event - Triple Fortuna Challenge - that was hosted by one of my friends in Mission Trails. The day started with an incredible sunrise and an unparalleled energy. Being in nature surrounded by friends who were all accomplishing something amazing was the best way to kick off the weekend. I felt like I was buzzing and energized all day. I’m a big hand talker, so before interviews, I like to get my nails done. I saw this new nail/massage salon pop up a few weeks ago in North Park, so I stopped in for the “Leo One” manicure treatment with gel polish. The manicure started off with a lovely essential oil breathing exercise to set the tone and a cup of a special blend from Paru Tea Bar. The remainder of the manicure went as per usual, but with all organic and local products. Win! The entire space was adorable - minimalist and decked out with a beautiful mural, plants and magazines and books. The entire experience was so relaxing…and my gel lasted three weeks! After reading a pretty heavy non-fiction novel about the country’s opioid addiction, I sought out a lighter book and ended up with Lauren Weisberger’s latest book, When Life Gives You Lululemons. The book features The Devil Wears Prada’s OG assistant - Emily - and her client, Karolina and friend, Miriam. It was funny, engaging and the total chick flick book. 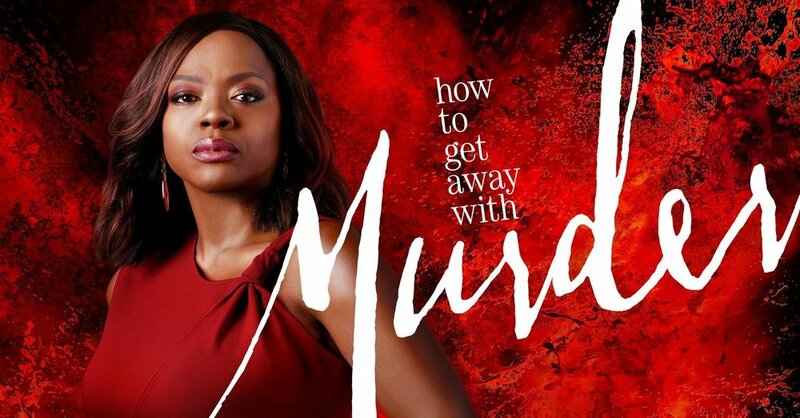 I’m a big Shonda Rhimes fan, and I loved How to Get Away with Murder from the start. It’s smart, quick and shocking. I’d missed a few episodes from the last season and have been finally catching up over the last week. I truly forgot how engaging this show is…and I may or may not be typing this while binging another episode. Yesterday, Justin and I watched Netflix’s new documentary: Fyre: The Greatest Party That Never Happened. The documentary took a look at the infamous Fyre Festival and the entrepreneur behind it. I had followed the Fyre Festival fallout for quite awhile, but this documentary exposed so much more. It was fascinating and appalling! 10/10 recommend for a good documentary. This weekend, I went to a special event at Pure Indoor Cycling, a spin studio in downtown San Diego. I was treated to a braid bar and samples of Ora Organic pre-workout…and that was just before the workout! The class was my favorite part - we went on a killer 45-minute indoor ride with a live DJ who played some of my favorite songs. It was incredibly hard, motivating, sweaty…and therapeutic. It felt so good and reminded me of why I love indoor spin so much. This weekend, Justin ran the Carlsbad Half Marathon, so I headed up to North County San Diego to cheer him on. It’s been awhile since I’ve been to the Carlsbad area, and I forgot how much I loved it. The beachy town is clean and gorgeous. This year, I want to make a point to spend more time up in the area! On Saturday, Justin and I headed to Pacific Beach to eat up at the soft opening of my friend Anisha’s new (and super cute) restaurant - Powerhaus Pizza. Powerhaus serves up high-protein pizzas, superfood smoothies and kombucha on tap. Everything is all-organic, and there’s tons of vegan and gluten-free options! I settled on a cauliflower crust Hawaiian pizza. I’ve never been a huge fan of cauliflower crusts, but this one was out of this world good! We also sipped on some yummy kombucha. I can’t get the meal out of my mind! Yesterday, Justin had the day off, so we had a little day date, including a trip to Fall Brewing in North Park. Fall is one of my favorite places in the neighborhood - good vibe, tasty beers and a cool tasting room. We both settled on IPAs that we sipped while we sat on stools overlooking sunny 30th Street. It was a perfect Monday afternoon off. Cooking is therapeutic to me. I’m always a fan of testing out new recipes and tweaking existing ones. One of my favorite spots to snag a recipe? Ambitious Kitchen. The recipes are creative - and typically on the healthy side. Last week, I baked some tasty Almond Flour Chocolate Chip Cookies and this week, I’m planning on serving up some sheet pan recipes from the blog. On Sunday, I went to a “silent disco” rooftop yoga class hosted by Yoga After Dark. The class overlooked scenic La Jolla, while we all had on headphones for a fun and creative flow. After a long day, the class felt so relaxing. The view didn’t hurt too!